I have completed a 4 week orientation period, in South Africa, We spent time having lessons on aspects of Hands at work and then going into the communities and walking around with Care Workers and seeing what Home Based Care looks like first-hand. We got to know the children and Care Workers well. We were inspired by so many stories and impacted and changed. 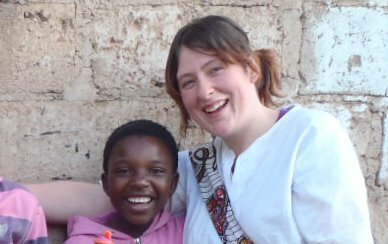 The highlight of my South African time was my community stay; I was able to stay with a child headed household for a weekend. We stayed with a family of 5 kids: the eldest was 19, then there were two 15 year olds, a 12 year old and a 4 year old. It was such an amazing experience, to see the children that are impacted by this Community based organisation (CBO) that Hands at Work partner with. We connected with the kids, played games with them, sang to Westlife and Celine Dion. We helped with their homework, and you know it didn’t feel like we did much but we really connected with the kids. The last day I really saw how much God was using us without us realising. We got a letter from the eldest child. The letter said how she loved having us there because it made her happy and made her feel like her parents were there. And she hadn’t mentioned her parents the whole time we were there. I will never forget these children they have a special place in my heart and I feel as though they are part of my extended family. It made me realise how important it is that these kids have Care Workers to visit them and make them feel loved and cared for. After my orientation, I returned to Zambia, on the 28th of June, and will hopefully be here til the end of November. I will be going into communities continuing to meet children and Care Workers and writing their stories, for those who will hear. And helping inspirational long term Hands at Work volunteers where I can. I am loving going into the community and hearing about where they have come from, to see where they are now and the bright hope they have for their community and children; it’s amazing to be a part of. Older PostEver considered having your next family get-together in Africa?